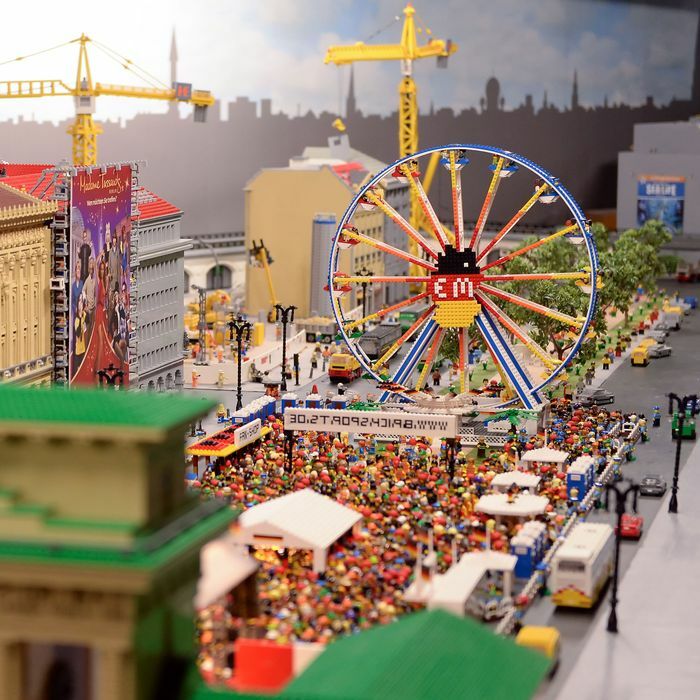 The Legoland Discovery Centre in Berlin. Sea levels are rising, bees are dying at an alarming rate, the world is facing a refugee crisis, and, most horrifying of all, grown men are being denied entry to the Legoland Discovery Centre in Melbourne, Australia. In the wake of this grave injustice, the Guardian reports, these men are furious: One has even threatened to file a file human-rights complaint with the Victorian Civil and Administrative Tribunal for age-based discrimination. The Legoland Discovery Centre — which describes itself as “the ultimate indoor Lego playground” — does not allow adults over the age of 17 unless they’re bringing a child. (A representative posted a statement on Facebook explaining why upon receiving complaints.) Though this is a common practice, several of these men didn’t realize and already bought annual passes. According to the Guardian, the age restriction is “a fact that some self-described AFOLs (adult fans of Lego) said any true fan would know before splashing $77 on an annual pass.” Yes, reader: This issue is even tearing apart the AFOL community.